What is Travel Sickness and what causes it? Travel sickness is also known as motion sickness. Travel sickness is a general term that incorporates seasickness, carsickness and airsickness depending on the mode of travel. The condition can cause the onset of several unpleasant symptoms, such as dizziness, nausea and vomiting. These symptoms are experienced when travelling. In the majority of cases the symptoms of travel sickness subside as the body adapts to the motions that cause the problem. Unfortunately, some sufferers are unable to adapt to the environment causing the condition so will continue to experience symptoms until their journey finishes or they leave said environment. The vestibular system is a system in the body responsible for balance. It is comprised of a complex series of nerves, small channels and fluids that are located inside your inner ear. When the body is in motion, it causes the fluid inside the vestibular system to change position. This positional change is transmitted to the brain so that it is able to determine exactly how fast and where you are moving. This allows the body to maintain balance. Motion sickness occurs when the body’s senses become confused. This confusion arises from conflicting information between the body’s other senses and the vestibular system. For example, if travelling in a car at forty miles an hour, your eyes register that you are in motion, travelling at speed. However, your vestibular system is telling your brain you are in fact sitting still. It’s this contradictory information that can lead to the symptoms of motion sickness. In the majority of cases motion sickness is caused by travel, be that air, sea or land. However, motion sickness can sometimes occur from watching certain movies or playing fast-paced computer games. The shaking or motion of the camera work in some films, and the realistic graphics in computer games can generate the same mismatch of signals to the brain. In more severe cases symptoms can include; headaches, drowsiness, extreme tiredness and rapid, shallow breathing. How is Travel Sickness diagnosed? Diagnosing motion sickness will be result of observing the signs and symptoms and determining that they only occur when you are in motion. Most of the time motion sickness can be self-diagnosed without the need to see a doctor. If more severe symptoms occur, or if symptoms continue when motion has stopped, you should see a doctor for further investigation. What treatments are available for Travel Sickness? There are various medicinal options available that can be used to treat travel sickness. These range from tablet and liquids to patches. If taking an oral medicine for motion sickness, it is recommended to take the medication before the journey. This is because travel sickness can slow normal digestion and therefore the body may not properly absorb medicine taken after the onset of symptoms. It may also be difficult to take medicine once nausea and sickness has set in. Hyoscine is a widely used medicine used to treat travel sickness. It comes in both tablet form (Kwells & Joy Rides) and as an external patch (Scopoderm). Hyoscine works by blocking some of the nerve signals sent from the vestibular system to the brain. If using Kwells or Joy Rides the tablets will need to be taken before travel. If embarking on a longer journey, Scopoderm patches will be a more suitable option. Scopoderm Patches can be applied to the skin and will continue to work for three days before the patch will need to be replaced. 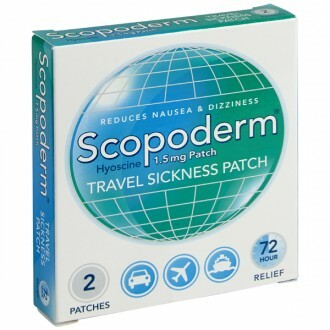 Scopoderm patches are suitable for use when nausea and sickness has already set in as they can be applied directly to the skin without the need to swallow medication. Antihistamines are usually taken two hours before travelling. If it’s a long journey, the dose will need to be repeated after eight hours. You should check the individual dose for each product before taking any treatment. Non-medicinal treatments are also available, for example acupressure bands (Sea-bands). These fabric bands are worn around the wrists and work by applying pressure to certain point that lie between the two tendons that run down your inner arm. This pressure is thought to help reduce the symptoms of travel sickness. Can I do anything to prevent Travel Sickness? Trying to minimise head and body movements. If travelling by boat or plane then by choosing a cabin or seat situated in the middle of the craft, you will reduce the amount of movement suffered. Getting fresh air. Where safe and possible open a window or move to the top deck of a ship to allow for a supply of fresh air. Avoid eating large meals or drinking alcohol whilst travelling. Fix your vision on a stable object. For example, fix your vision on the horizon. Avoid reading and playing games as this can make the symptoms worse. Closing your eyes may help to relieve symptoms. Try to relax and stay calm. The more you worry about travel sickness the more likely you are to experience it. Acupressure Bands- are bands that are worn around the wrist. They are designed to apply pressure to a certain point on the inside of your wrist specifically between the two tendons on the inner arm. A positive for the acupressure bands is that there are no adverse side effects, how ever there is little scientific evidence to show that they are an effective treatment for motion sickness. You should be able to purchase this item from most pharmacies. The medication mentioned above are the 'P' medications we offer at The Independent Pharmacy, how ever there may be slightly different brands in your local pharmacy. What are the best non-medicinal ways to treat Travel Sickness? If you begin to experience mild travel sickness, there are a number of techniques that you can try which do not involve medicine. Reading or looking at a screen will often make symptoms much worse. A common remedy is to close your eyes or otherwise, focus on a stationary point in the distance such as on the horizon. In a car, it might be helpful to sit in the front seat. Try to avoid sitting backwards on a train or boat. Try to find a seat or position in which you will move as little as possible. On a boat or plane, this will be towards the middle of the vessel. It is especially important to keep your head still, which you can do with pillows or head rests. It is important to remain calm. Try to find a technique that will help you to relax, such as concentrating on music or your breathing. You might also want to try mental activities which will distract you from your sickness, such as listing the alphabet backwards or making mental lists. It may help your symptoms to get fresh air, either by opening windows or by moving outside or to drink water. This will help you to remain cool and hydrated. Be mindful of what you eat and drink before and during any journey. Foods which are spicy, heavy or rich in fat can make travel sickness worse. Consider staying away from alcohol before or during travel if you know you are susceptible to travel sickness. How do medical treatments for Travel Sickness differ? If you know that you are susceptible to travel sickness, you might want to take medication. This is most effective if taken prior to the journey so that symptoms do not develop in the first place. There are two primary types of travel sickness medication: hyoscine and antihistamines. Hyoscine, or scopolamine, is available in a patch that can be purchased over the counter. Travel sickness occurs when the vestibular system in the inner ear senses imbalance or disequilibrium – hyoscine is thought to work by preventing those signals from affecting the brain. Hyoscine’s side effects include dizziness, blurred vision, and drowsiness. Because of the nature of these side effects, you should not take hyoscine if you intend on driving. Children and the elderly should use hyoscine only with caution. It can have an adverse effect on people with a history of heart, liver or kidney issues, as well as those with conditions including epilepsy. Antihistamines are most often used as a treatment for the symptoms of allergies. However, it can also prevent nausea, and so is sometimes effective as a remedy for travel sickness. 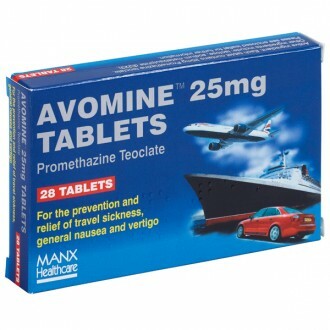 Antihistamines tablets are taken one to two hours before a journey, or every eight hours during longer journeys. Unlike hyoscine, antihistamines will only help with the symptoms rather than the cause of nausea, and so it is a less effective treatment. However, apart from some drowsiness, there are usually fewer side effects. Are acupressure bands and ginger effective treatments? These are two of several popular alternative remedies for travel sickness. The evidence that they are effective is inconclusive. Acupressure bands are worn around your wrists. It is suggested that they work by applying pressure to a specific point on the wrist, which prevents the symptoms of travel sickness. There is little medical evidence that this is effective, though acupressure bands have no harmful side effects. Ginger is widely used to treat nausea, including travel sickness. It is taken in the form of ginger drinks or biscuits, or as ginger supplements. Ensure with your GP that these supplements will not impact any of your other medication. Again, there is limited medical evidence of ginger as an effective travel sickness remedy. What kinds of people are most likely to get Travel Sickness? Anyone can suffer from travel sickness, and indeed most people will experience it in some form. It is very common in young children, particularly those whose parents suffer from travel sickness. In many cases, however, children will grow out of it by the time they are teenagers. Other groups that are vulnerable include pregnant women and people with certain medical conditions or on certain types of medication. This is especially true if nausea is already a symptom of your condition or a side effect of your medication. The body will often adapt to the environment that is causing your symptoms, and so symptoms tend to improve over the course of a journey. For some people, however, the symptoms will continue until the journey is over. If I often get car sick, am I likely to suffer from other kinds of Travel Sickness? Travel sickness is the body’s response to its current pattern of motion. Because this pattern is different for every mode transportation, certain journeys will likely make you iller than others. Experiences with travel sickness vary widely from person to person, and it is not possible to predict whether you will get sick on a particular journey. 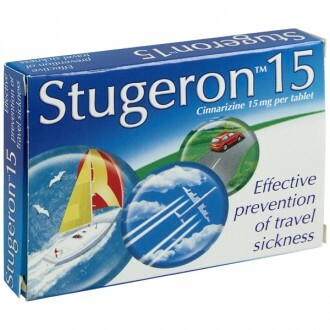 However, you can try to prevent or remedy travel sickness using the techniques mentioned above. Will I feel sick every time I travel? You are most likely to suffer from travel sickness when your body is experiencing an unfamiliar type of motion. So, as you become accustomed to a particular form of transport, it will often become more bearable. However, in some cases, the vestibular system will never adapt to a certain form of motion. For some people, travel sickness occurs as the body’s default reaction to a certain form of motion. If this is the case, focus on relaxing and thinking positively. Travel sickness can be frustrating and inconvenient, but it is not harmful to your health in the long term. In the vast majority of cases, symptoms go away once the journey is over. There are a few cases in which symptoms will continue even after the journey is over. This is called Mal de Debarquement Syndrome – it occurs when the body does not properly readjust to being motionless on land. Can Travel Sickness be cured? Whilst travel sickness cannot be completely cured, its symptoms can be quite easily managed or prevented. Many people find non-medicinal remedies effective. These techniques are free of side effects, and so should be used before you consider taking additional medication.